Better changeover times, waste reduction, ink savings, reduced wash-ups, and higher quality printing. These are just some of the main advantages that expanded gamut (EG) printing system offers compared to direct colour printing. 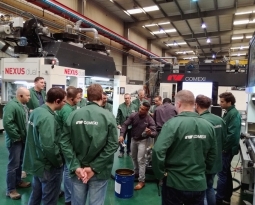 Main key benefits that were showed during the technical day that Apex, Esko, Sun Chemical, Dupont, Cauchos Puntes and Comexi organised all together at Manel Xifra Boada Technological Centre last March. A total of ten experts from six different partner companies joined in a practical session that consisted of printing a set of planned jobs in continuous simulating a work shift. All these jobs were originally printed in spot colours but for this exercise they were converted into expanded gamut (multicolour) colour separation. Previously the Comexi F2 MP was characterized under agreed parameters of anilox, inks, plate and tape. 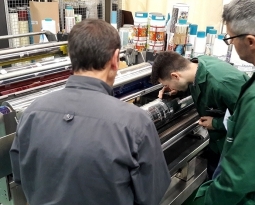 The target of this exercise was to print in an efficient way and under a fixed quality standards, monitoring step by step relevant specific data in terms of job cost: changeover time, waste material and ink and solvent consumption. 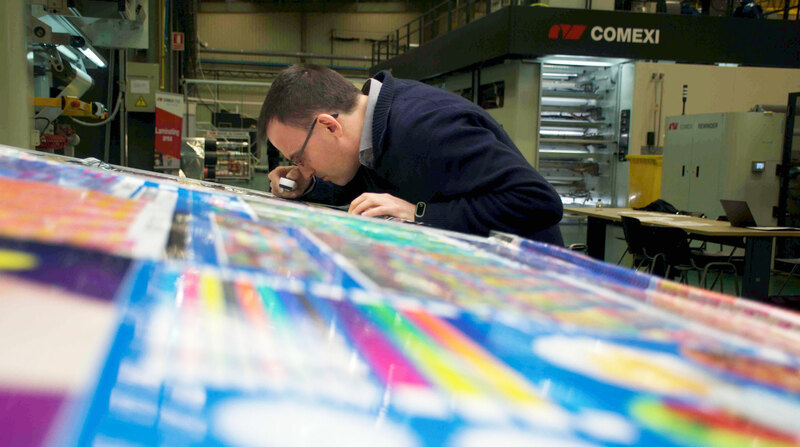 Through these analyses and evaluations, technical specialists have been able to verify that the expanded gamut system increases efficiency and achieves higher profitability and better quality packaging than multicolour system. It offers solvent savings since EG printing only needs seven colours and, therefore, there is no need for wash-up in between jobs. This printing system reduces set-up times and enables to run more jobs, increasing machine uptime and capacity. As a summary, the more relevant data were a reduction of 60% changeover time, a reduction of 50% of waste material and decrease of 20% in inks cost. 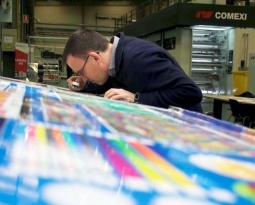 Besides, during the technical day, the experts confirmed that expanded gamut allows to run many shades of different colours at the same time, which results in a reduction of the number of changeovers per day, increasing even more the press up time. Moreover, with this eco-friendly printing system it is no longer needed to use the press as ink proofer. By converting spot colours to a fixed ink set, colour matching is done during the prepress. Again, it reduces downtimes between jobs and increases productivity. “Demand for shorter packaging production runs for targeted campaigns and product variations is increasing. 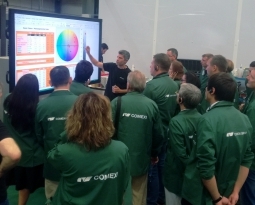 Printers and converters need to meet these challenges in a time and cost-effective way and EG system is the proper way to achieve it”, explains Comexi Technological Centre Manager, Albert López.